Jeep Tours | Flores and Corvo - Flores and Corvo The Azores Visit the Azores now! This product’s objective is to show our clients a different perspective of all of Flores Island. Take this opportunity to enter a 4X4 vehicle and come with us where nobody else will take you. See the sights that few have the pleasure to see. Do not just settle for seeing the photos of your friends, be part of the photo too! 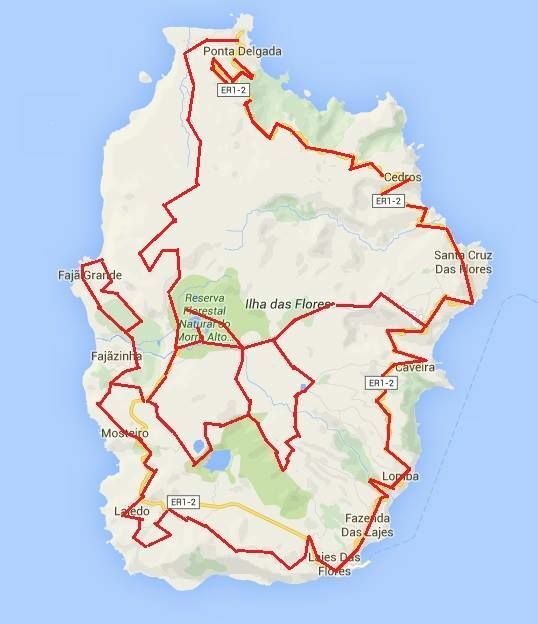 Starting from Santa Cruz, this route takes us to the South part of the island towards Lajes. After a short stop in Lajes, we will drive to the West, towards Fajã Grande, driving through the Villages of Lajedo and Mosteiros. Once in Fajã Grande, we will make a short stop, where you will see some of the most charismatic waterfalls of the Island. After a while we will leave towards the central plateau where it’s possible to observe the lakes, as well as the surrounding landscapes as we head in an off road to the North part of the island, to Ponta Delgada. After stopping at some of the most appealing sights, we will drive back to Santa Cruz. Note: If you start in Fajã Grande, the tour will be in the opposite direction. Not included: Additional fee will apply from different starting point.